As our first visit to mainland Asia, both China and Hong Kong amazed and also confused us at times. By the end of our time there, they met and even exceeded our expectations! Being in China was definitely a world of extremes for us. At times it was overwhelmingly intense, while also providing some of the most memorable highlights on our trip. The fast-paced culture, unbearable heat, and intensity of the streets created an environment unlike anything we had experienced to date on our trip. China was delightful and frustrating, amazing and dumbfounding, yet we loved our time. One moment we were enjoying the most delicious noodle bowl in the Muslim Quarter of Xi’an, and the next moment we were utterly confused trying to buy a train ticket to Hangzhou. Our itinerary was largely geared around the keynote attractions, which kept us in the major cities of Beijing, Shanghai and Xi’an before moving on to Hong Kong. If we have one piece of advice after traveling through China and Hong Kong, it is that a decent hotel is a must-have to maintain sanity. Lodging proved to be a major respite throughout our itinerary. By using hotel rewards points for free stays (which we acquired pre-trip, more on this in a future article), we were able to stay for free in four or five star resorts throughout China and Hong Kong. After a long day of navigating the streets, it was amazing to be able to kick back and relax in a spacious and comfortable room with amenities such as pool and workout facility. The amenities also provided relief from the heat, as we could organize our schedule so that we could visit the sites early in the day and relax in a consistent environment during the afternoon heat. A common question that we have received during our travels was regarding the evidence of Communism. This was most apparent to us regarding the accessibility of information (or lack thereof), such as the massive firewall on the Internet. In particular, search engines and social media (e.g. Google, Facebook) were blocked altogether. The Chinese have tried to adapt with applications such as “WeChat” (instead of Facebook) which provides a live stream of posts from its users. Television programs were also limited, and although we couldn’t read many of the billboards or media, it all seemed a bit too “cheerful”. For example, the front page headlines of the news would highlight the life of a panda bear instead of the major events that occurred worldwide. Having come directly from Japan, the standards were high regarding the quality of cuisine. 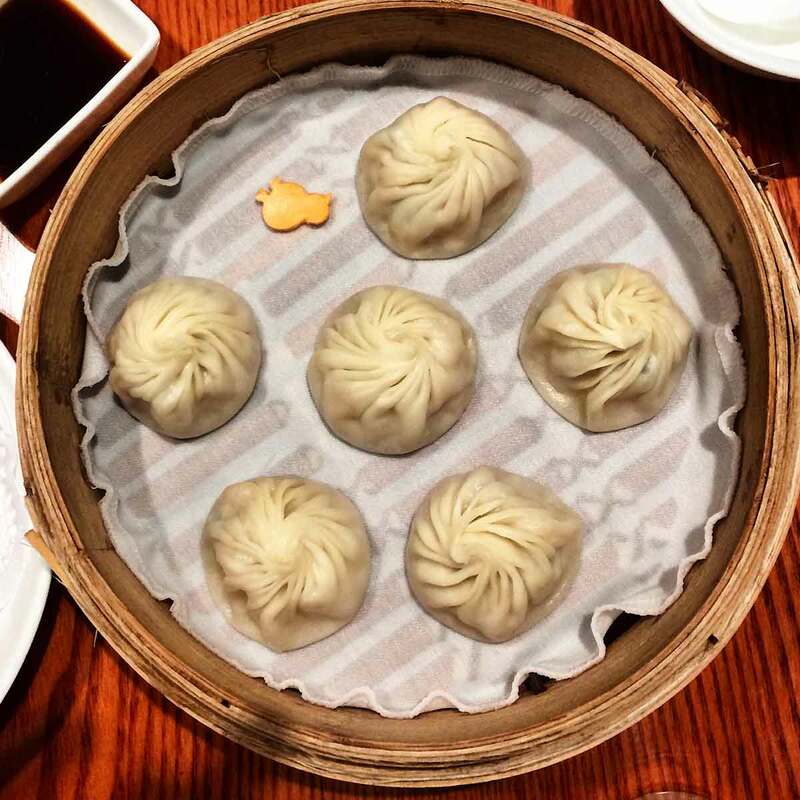 We were pleasantly surprised by the delicious food we discovered in China, especially the Muslim Quarter noodles and dim sum in Xi’an . Many meals delighted us and we loved stumbling upon restaurant after restaurant filled with amazing cuisine and friendly people. Homemade noodle deliciousness at the Muslim Quarter in Xi'an. 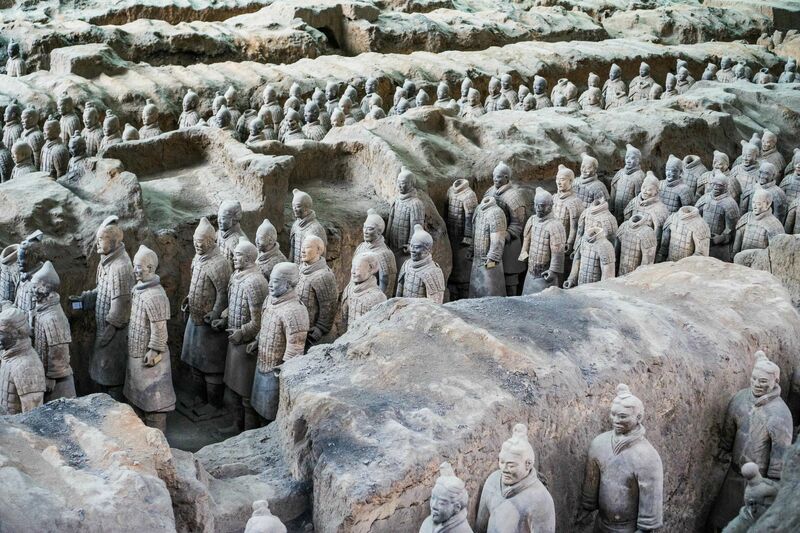 Our first city in China, Xi’an boasted two major landmarks on our list – the Ancient City Wall and the Terracotta Warriors. Located 1,000 km inland from the Yellow Sea, Xi’an is part of the original Silk Road and so carries influences of many different cultures including a heavy Muslim influence. 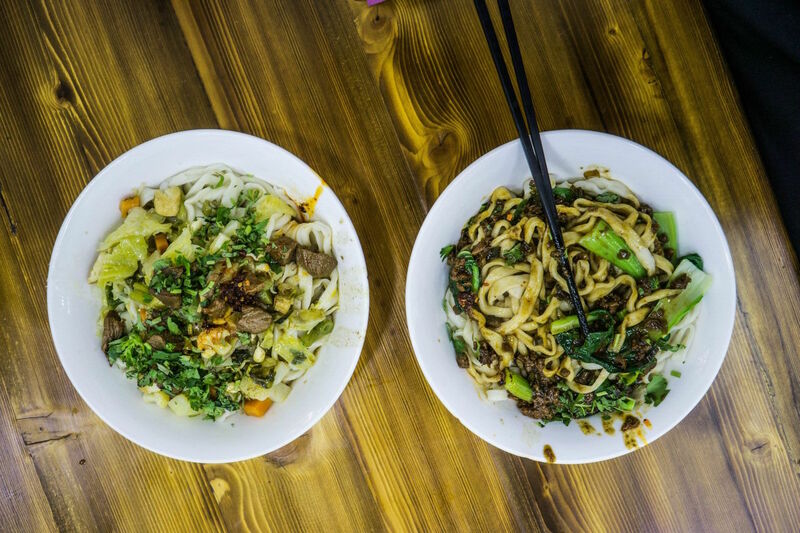 The Muslim Quarter of Xi’an proved to be one of our favorite experiences in China and had some of the most interesting types of food, as the ingredients and spices were unlike anything we had seen prior. We stumbled upon a homemade noodle shop and enjoyed what turned out to be one of the most delicious meals of our trip. At 12 meters high and 15 meters wide, the 14 kilometer long Xi'an City Wall is the most complete ancient city wall in China. It's also the most dramatic place to view one of China's most fascinating cities. 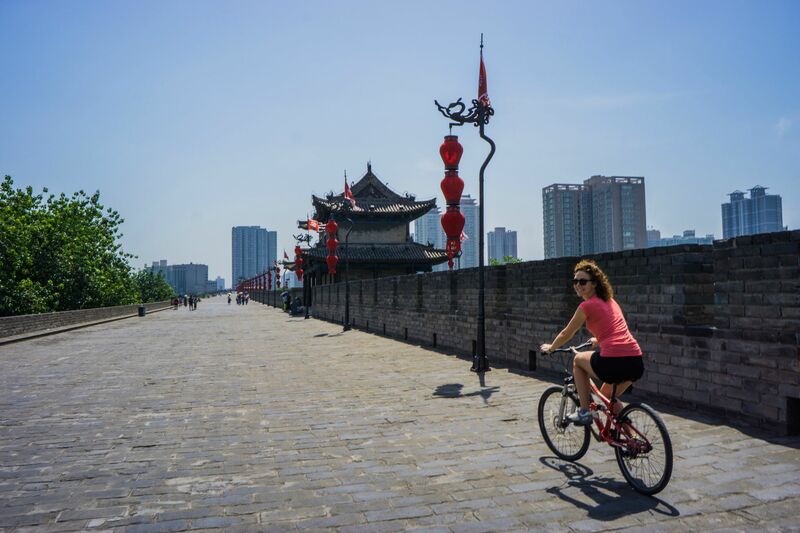 Biking on top of the Ancient City Wall provided excellent views of the city to appreciate the magnitude of Xi’an. Although Xi’an is dwarfed in terms of population by Beijing and Shanghai (both cities are more than twice the size of Xi’an), there were high rises and housing as far as we could see. Natalie biking on the wall surrounding the Ancient City of Xi'an. The Terracotta Warriors are located roughly an hour outside of Xi’an and took an early morning bus to the site from the Xi’an train station. The site was discovered in 1974 when workers digging a well outside the city of Xi'an struck upon a life-size clay soldier. The Terracotta army, as it is known, is part of an elaborate mausoleum created to accompany the first emperor of China into the afterlife. Archaeologists estimate the pits may contain as many as 8,000 figures, but the total may never be known. The soldiers are in trench-like, underground corridors. In some of the corridors, clay horses and wooden chariots accompany the soldiers. It was fascinating to see the warriors in all of their detail, as well as the many workers who continue to attempt to reassemble them. There is a great podcast regarding the discovery and history behind the warriors that we highly recommend (also, just in general one of our favorite podcast series). Beijing serves a great jumping off point for the Great Wall. We opted to skip the traditional tour groups and opted for a more adventurous tour with a local hostel instead. As you can imagine, there are many options for visiting the Great Wall. Most options take groups to Badaling, which is the section of wall closest to Beijing. 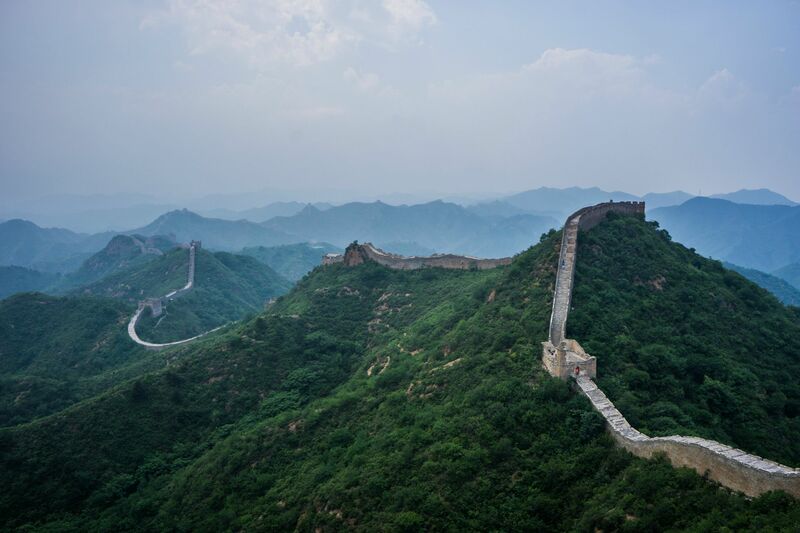 While being nearest to Beijing is convenient, it also translates into it being the most touristy portion of the wall with the highest number of daily visitors and is often times overwhelmingly crowded. The hostel tour we joined took us 125km northeast of Beijing to the Jinshanling section of the Great Wall. While it boasted some of the best views, it was definitely not for the faint of heart, as it required some fairly steep climbing and intense hiking. We highly recommend visiting this section of the wall if possible as it provided both surreal views and relief from other massive tour groups. It was truly incredible and the highlight of our trip thus far. Again, we found the “Stuff you should know” podcast series very helpful for background and history on the Great Wall. The Great Wall of China from the Jinshanling section of the wall - worth the hike! 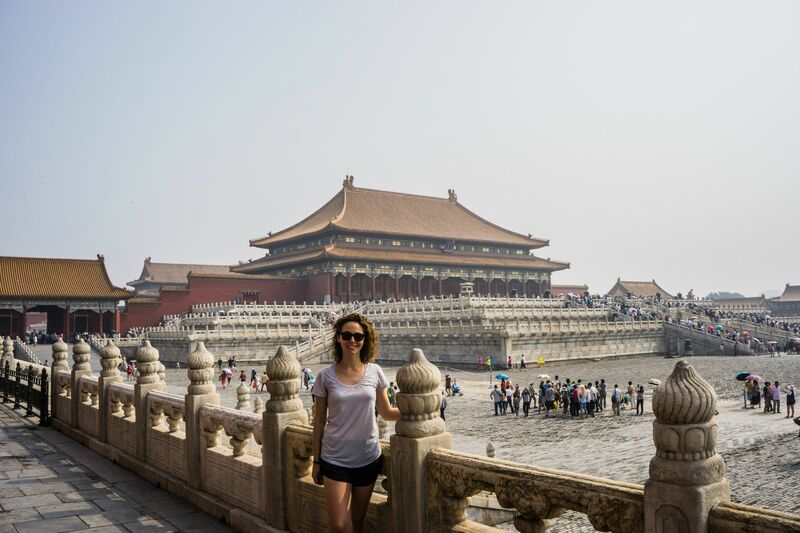 In one morning we were able to stroll through many other great sites in Beijing city – the Hutong neighborhoods, Imperial Palace, Tiananmen Square and Forbidden City. We were fascinated by both the vastness of the sites as well as the incredible amount of tourists. The Forbidden City limits the number of daily tourists to just 80,000 people and even as one of the first to enter in the early morning, we were still swimming alongside other tourists. Natalie escaping the large crowds of tourists at the Forbidden City. 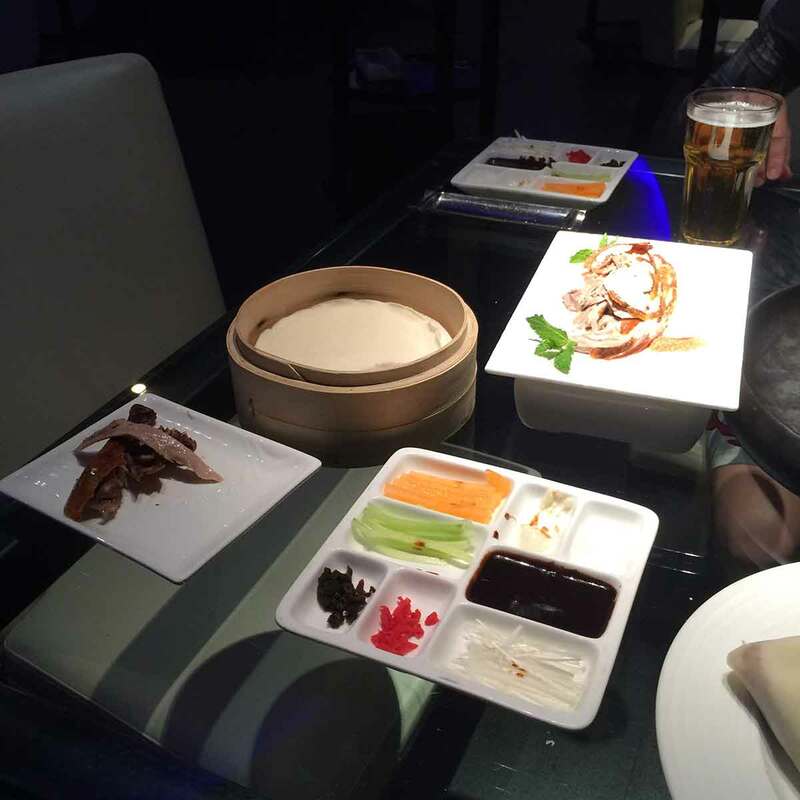 Our favorite dining experience in Beijing was enjoying Peking Duck at DaDong Restaurant. The roast duck is served in a manner unlike anywhere else, where essentially you are eating a “duck taco” of delicious Peking Duck in a rice wrapper along side cantaloupe, melon, greens, and your sauce (sweet, salty, spicy) of choice. The presentation was fantastic and we enjoyed every minute of the experience! 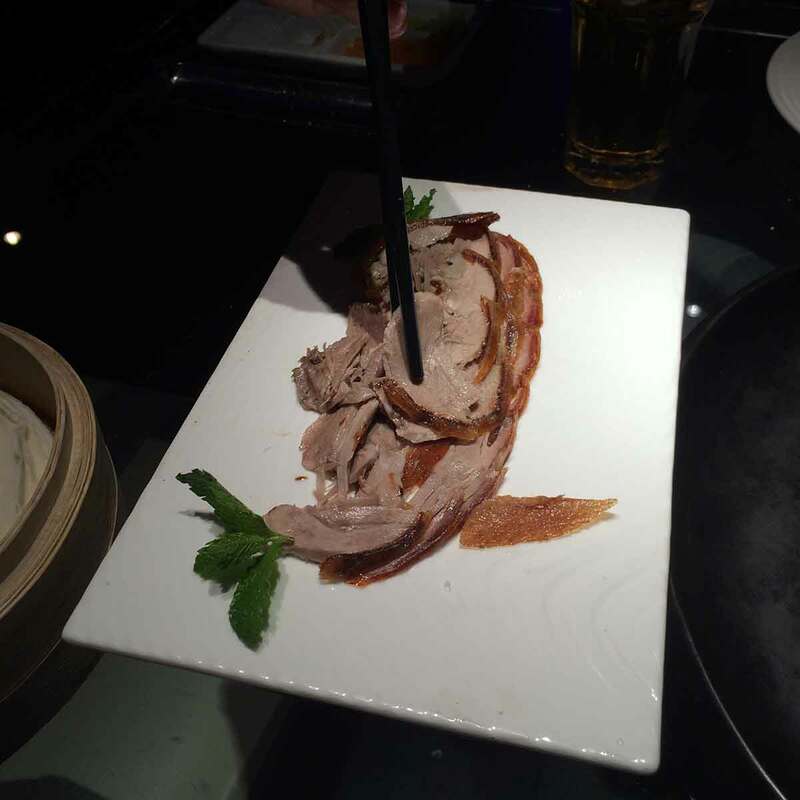 Enjoying Peking Duck at the Dadong Roast Duck Restaurant in Beijing. Shanghai was a unique mixture of modern and old as the city provided many different types of sentiment depending on the neighborhood. Clearly an international city, European influence was evident throughout many areas, most notably The Bund and the French Concession. We even stumbled upon some of the best Italian food that we’ve ever had at DOC restaurant in the expat area in the French Concession. The futuristic neighborhood of Pudong fascinated with its futuristic display of architecture, making Shanghai truly one of the most modern cities we have been to. We were fortunate enough to visit the 2nd tallest building in the world – the newly opened Shanghai Tower – to enjoy the stunning views from atop the city on the 123rd floor. The viewing deck is actually higher than the tallest building/the Burj Khalifa’s deck, making Shanghai Tower the highest viewing deck in the world. 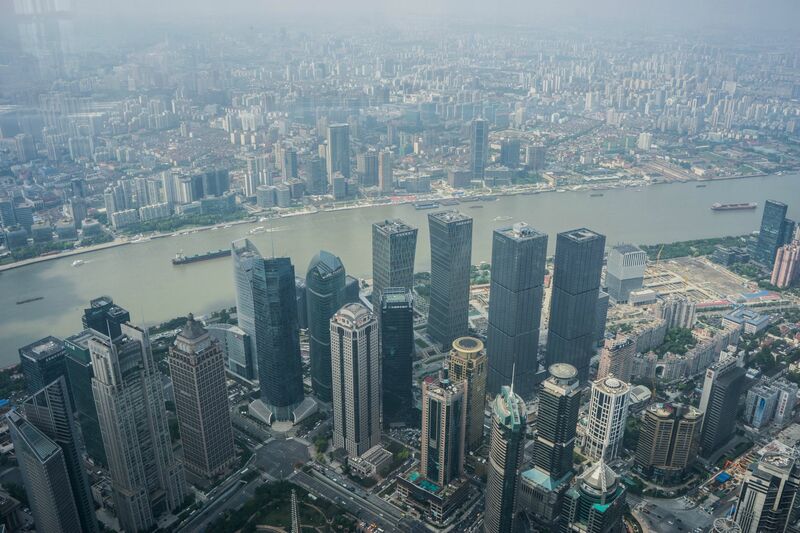 View of Shanghai from atop the newly opened Shanghai Tower. We also did a day trip to the nearby city of Hangzhou which was one of Seven Ancient Capitals of China and houses one of the prettiest lakes in the area. It is a common destination for honeymooners in China and is a nice respite from the busy city hustle and bustle of Shanghai. 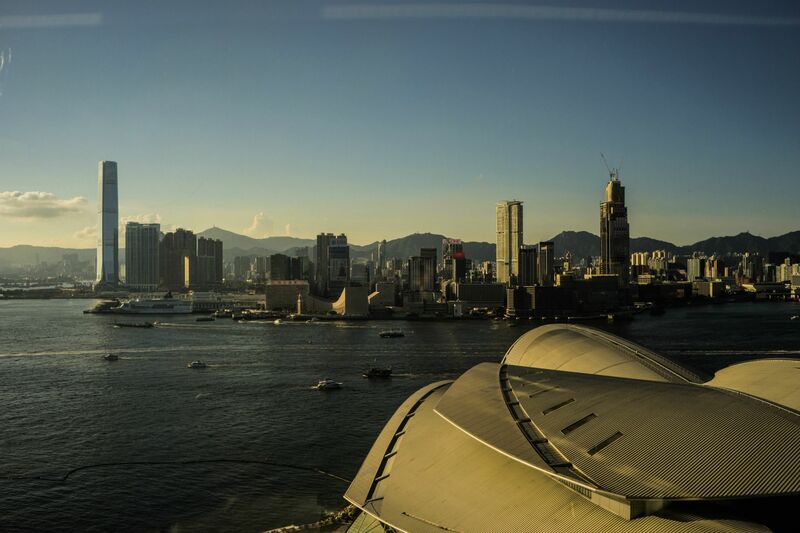 After a quick flight from Shanghai, Hong Kong marked our last stop prior to Southeast Asia. With easily enough to fill four days, we enjoyed the diversity that Hong Kong had to offer in terms of culture, neighborhood life and cuisine. Our stay on the island was split into two parts as we were fortunate enough to stay at the Grand Hyatt Hong Kong for free with hotel points. The view from our room was simply amazing (thanks again Augustin)! View of Hong Kong from our room at the Grand Hyatt! The population density is even more extreme in Hong Kong than in prior cities as was quickly evident while walking through the Kowloon streets on a Saturday afternoon in June. It’s still difficult to fathom the populace density of the island as it boasts the 4th most population dense city in the world!! Highlights from Hong Kong include our experiences in the coffee house and hipster central district, taking the ferry to Kowloon, and the view from atop Mount Victoria. Dining out was our favorite part of visiting the city and we had unique dishes across from Mak’s Noodles, Bao burgers at Little Bao and dim sum at the well-known Asian dim sum chain of Din Tai Fung (which originated in Taiwan). 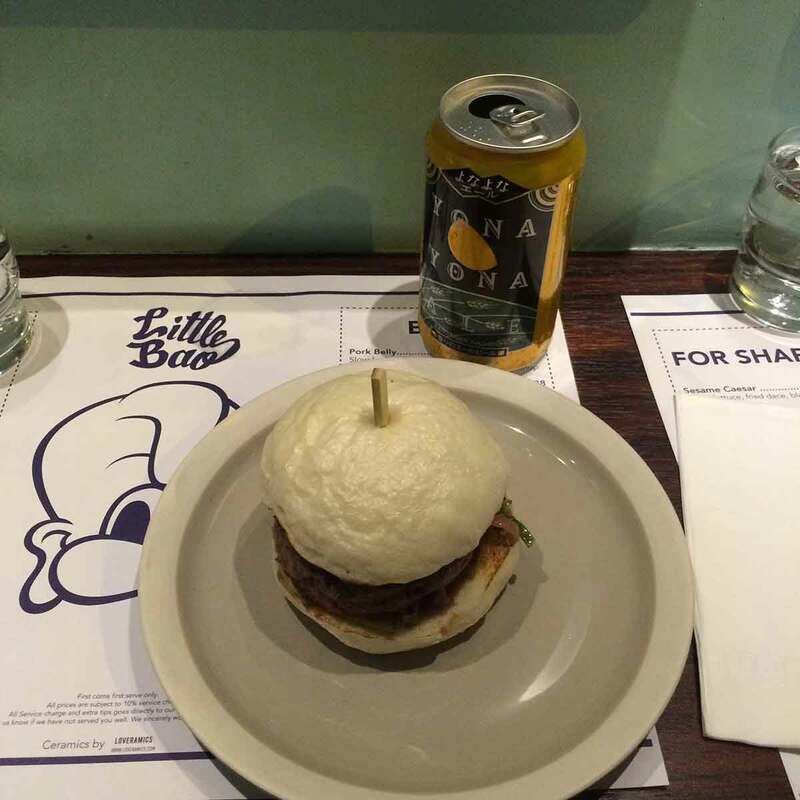 We enjoyed every moment of the Hong Kong culinary scene.